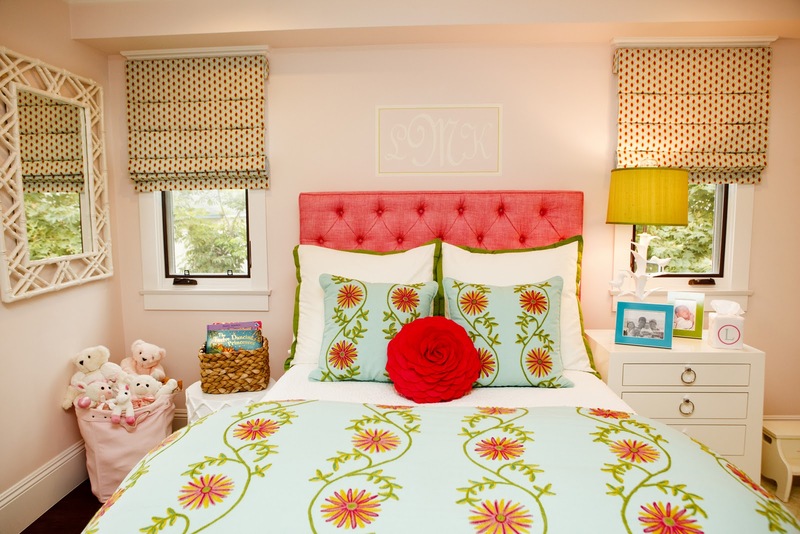 To start off the year I wanted to share a some photos of a toddler girl's room I finished in Manhattan Beach a few months ago. This is the family's only daughter so we definitely wanted a fun and energetic feminine flair that she could grow into. 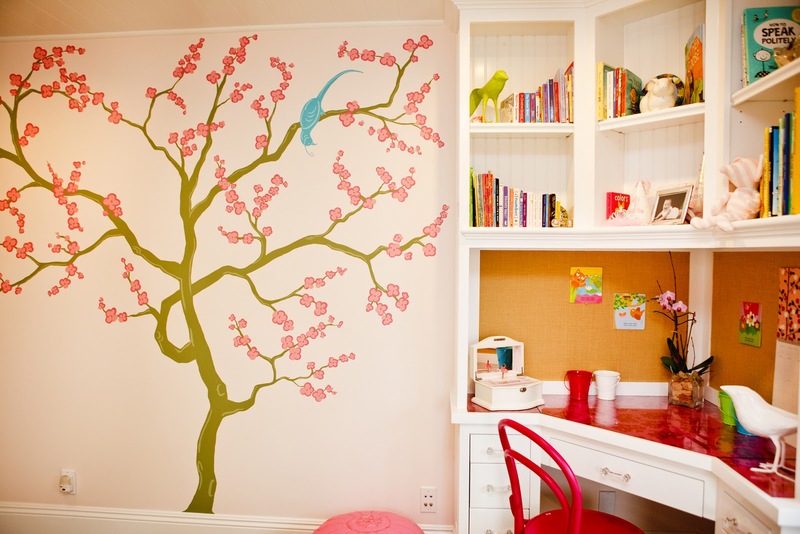 The focal points of the room are the custom cherry blossom tree mural and the Pine Cone Hill embroidered bedding. 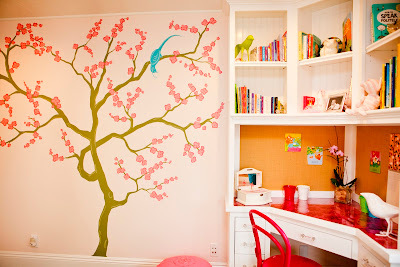 The client wanted something girly yet very playful and what is not to love about flowers, trees and birds? To save space in the room we had a custom corner unit built which functions as a bookcase and a desk. Although she is only four she now has her own little space to color away from her brothers. I'll have a few more rooms to share with you all in the upcoming weeks. I'm a little behind on getting things photographed, including my daughter's own nursery. Poor girl finally got her own room, we are just waiting on the window treatments then we will be done, typical right? 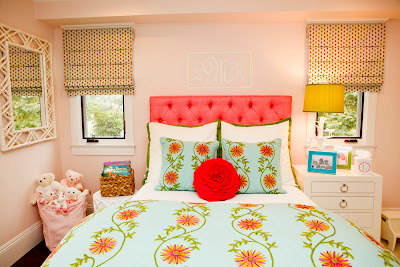 A designer's own child's room is last to be completed! For more photos from my portfolio, please visit my website Andrika King Design. Photography above and on my site by Liz from Life Iz Photography. Andrika, this is so beautiful. I love the colors and that chair at the desk is fantastic. Great job. They must be thrilled. precious and a great room to grow with! LOVE!!! So vibrant! Lucky little girl! Wow, what a superb job you've done, it's so beautiful Andrika. What a lucky girl indeed. Beautiful. I love the energy in this room. Lucky little girl! This is gorgeous. Where did you find those colorful picture frames? Love them! 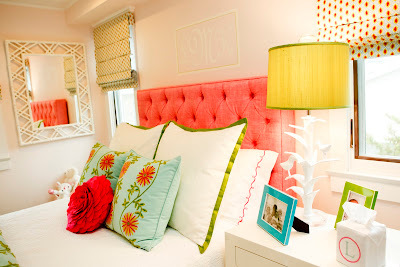 Love the punchy colors and how grown-up it looks. Nice job! this room is AMAZING! I love it so much. How about a toddler boy room? where is that adorable bentwood chair from? Would you mind sharing where the bedside table is from? What is the wall color? 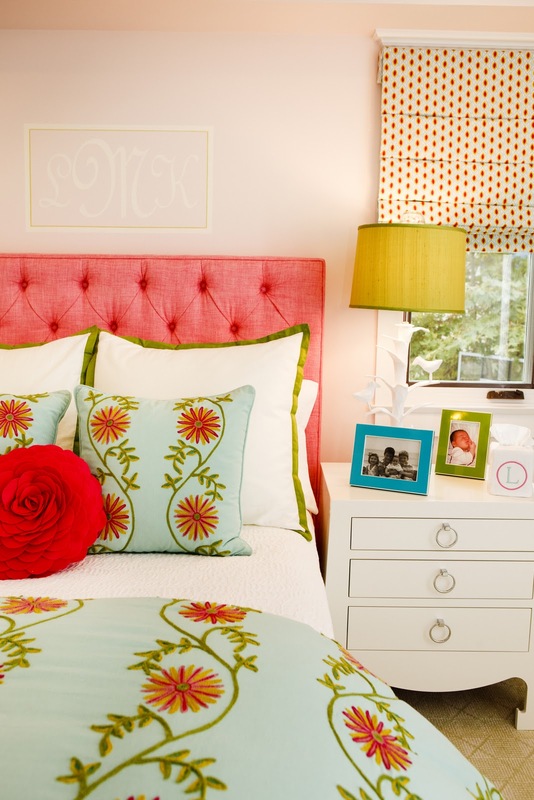 Gorgeous color combinations! 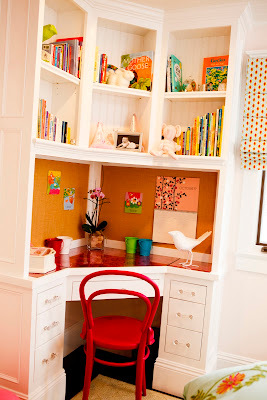 My husband and I love the corner desk and would like to do something similar in our office/playroom. Are there any plans for building something like this? I am wondering the same thing. I love the drawers on the bottom that would discourage siblings from getting into stuff. I have been searching all over online for something similar to this as a diy. Any luck w the DIY desk plans? Would love to see them too!